A few weeks back, Callie and I headed to Manchester for a fun filled weekend with the mega babes at Simply Be. The purpose of trip was to shoot a series of 'How to' videos and ladies, the first one is up on their Youtube channel and seeing it back makes me giggle from start to finish! I feel ever so lucky to a) have the chance to work with such great brands like Simply Be b) work on projects like this with my BFF Callie and c) get the chance to show/tell you my techniques/feelings of how to be a confident individual - no matter your shape or size. In the first instalment Callie and I tell you how/why we started blogging and also we give you 5 tips for achieving body confidence. I think you'll agree it's very clear to see that we love spending time together, sharing our tips with all of you and doing that in a way that is serious yet silly at the same time. I thought I'd also show you what Callie and I wore for the filming of this particular video. I've been living in this dress, it's my current fave! 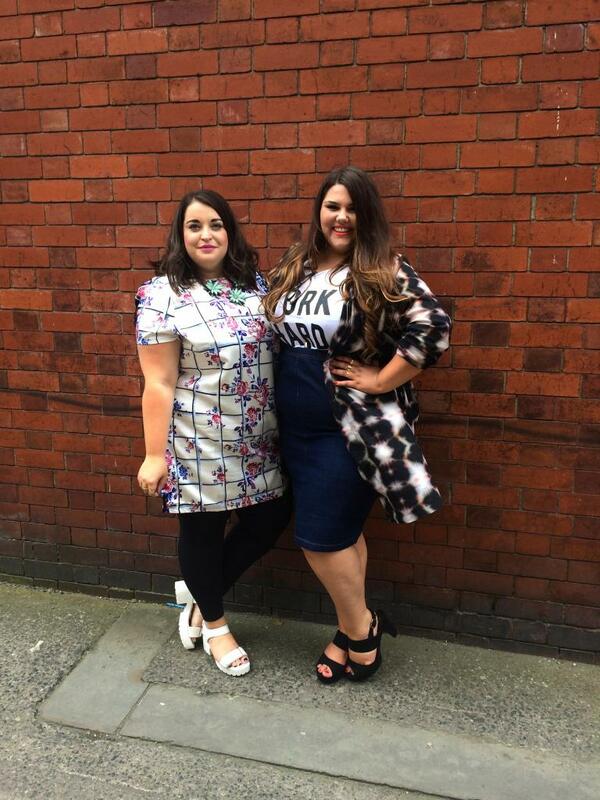 Strike a pose - We love our Simply Be outfits! Let me know what you think guys, it was a pleasure to film it and I hope you find some of the tips useful. Hi Danie! Just finally watched this video and I have to say you and Callie are just adorable. I love all of the tips you mentioned (I personally live by all of them!) Also your accents are adorable. Thanks for continuing to inspire! !